Larger than life, indeed. Their sales figures are so impressive, they're almost obscene. Their fans are not so much devoted as obsessed. 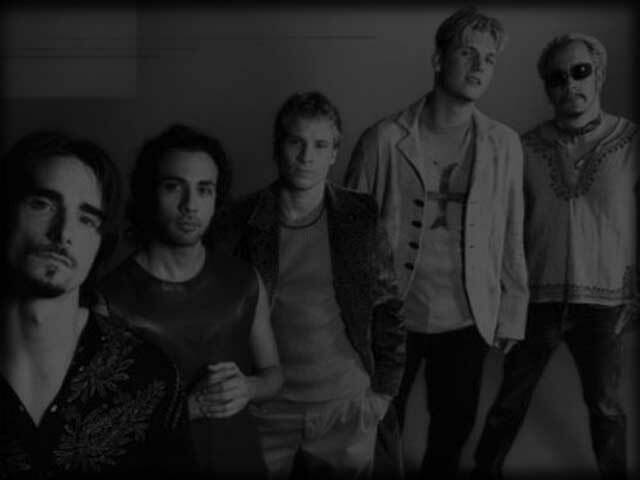 The Backstreet Boys are part of a long line of performers who evoke very strong emotions in their fans. Elvis and The Beatles have had longevity. David Cassidy, Andy Gibb, Menudo, New Edition and The New Kids on the Block have not. How will the Backstreet Boys, 'N Sync, 980 and O-Town fare? Are they enjoying 15 minutes of fame, or are they in it for the long haul? Ken Ehrlich, executive producer of tonight's special, says the Backstreet Boys "probably will have longevity, because their audience is going to grow up with them." There's only one problem with that: To grow up together, you have to be roughly the same age. A few of these boys are pushing the big 3-0. None is younger than 21. The group's fans are predominantly teenage girls. These young women are at such a capricious age that it's hard to guarantee long-term loyalty. When the band hits middle age, those girls will be hip twentysomethings who have developed an allergic reaction to bubblegum pop. What's more, the Backstreet Boys' latest album, Black & Blue, sold incredibly well but was still eclipsed by 'N Sync's No Strings Attached. Could it be the beginning of the end? Or are the boys poised to overtake their archrivals with their first network TV special, an elaborate affair with soft pastel lighting, smoke and an ecstatic teenybopper audience? Filmed over two nights in March at L.A.'s Staples Center, the show features a complex network of walkways and platforms that permit Nick, Howie, Brian, A.J. and Kevin to move into the audience as they gesticulate romantically. At one point, a bridge connects the stage to the back of the building, allowing the guys to perform a few feet over their fans' heads. During the course of the program, they perform "Time," "Show Me the Meaning of Being Lonely," "More Than That," "Everybody," "Larger Than Life," "Shape of My Heart," "Get Another Boyfriend," "I'll Never Break Your Heart" and an a cappella medley of "All I Have to Give" and "I Want It That Way." The hour features a mini-travelogue that chronicles the band's "Around the World in 100 Hours" tour. It also includes some video from their early days when the boys performed at amateur shows and shopping malls. Ehrlich believes that this early footage will help viewers "get to know them a little [better]."